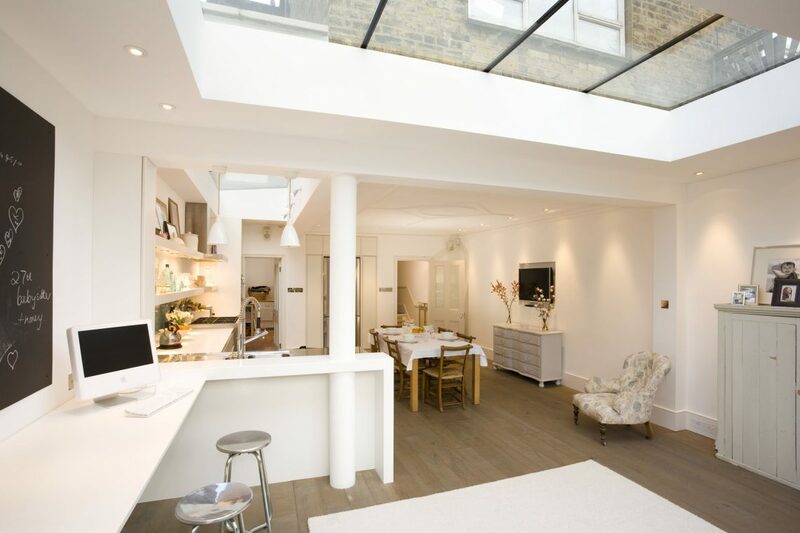 We were delighted when a previous client turned to us for a second time when they upgraded to a larger house. Our working relationship was comfortable as both parties knew what to expect and trusted one other, plus there was a larger budget this time! The plan of this large house provided opportunities and prompted our thinking. We turned the focus of the house away from the busy road at the front and onto the generous garden at the rear. 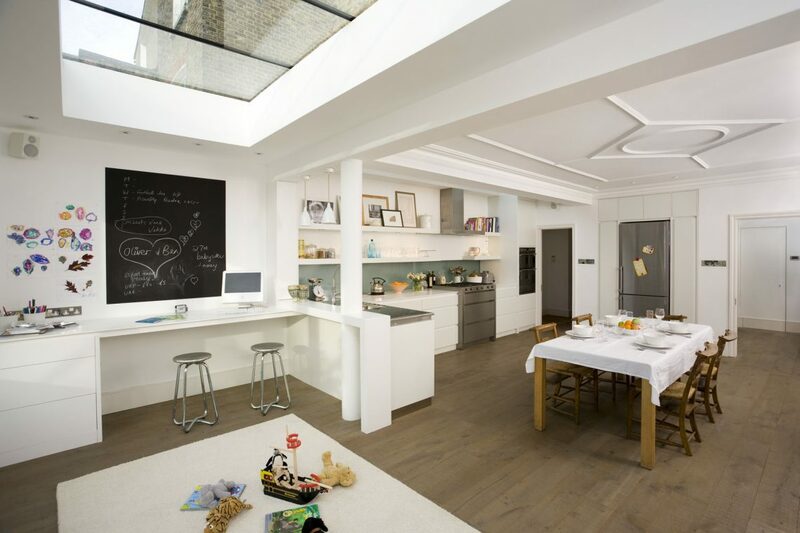 By extending the depth and width and removing all internal structure we were able to create a very generous open plan kitchen, dining and family space. As the Ground Floor Reception Rooms were split by a change of level in the centre of the house, we avoided the usual double Reception knock-through. Instead, we provided a grown-up Sitting Room at the front, heavily sound-proofed against noise from the road. 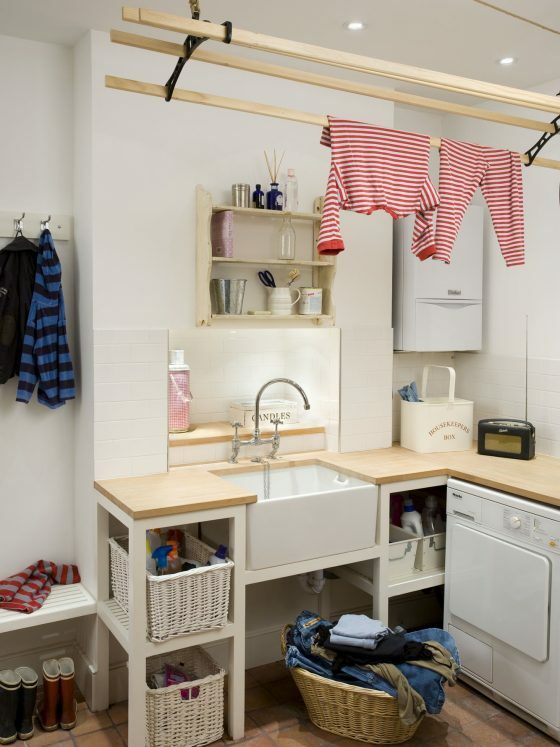 The ‘middle room’, on a separate level and bereft of sunlight was turned into a Utility Room with a kitchen door off the side alley – perfect for children with muddy boots and wet dogs. The rear of the house was knocked out at ground floor level whilst the structure above was propped up. We managed to retain the original ceiling with decorative cornice whilst the steels were installed, which remains in part of the Kitchen-Diner as an ironic nod to the previous layout. Our client was keen to also preserve the traditional appearance of the exterior, so we designed painted timber bi-folding doors which feel traditional but are clean-lined enough to suit the modern interior.